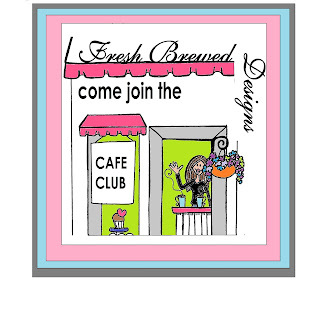 Ink and Lace with Sheryl Cauble: FBD January Rubber Stamp Release BLOG HOP! 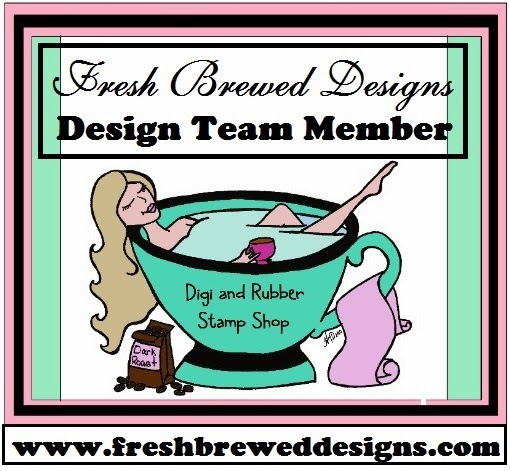 FBD January Rubber Stamp Release BLOG HOP! Freshly Brewed Challenges blog to get started. If you are arriving from there, then you are right on track! in 2013. We have had our stamps for months, just WAITING for this day! of the little Cupcake Cutie birthday girls that I know! As you can see, I made a Cherry Cupcake Themed birthday card. She was so much fun to work with! Our stamps have gone through a little transformation this year. to trim around your stamp! We have added SENTIMENTS to some of our stamps this year! Here is a little preview for you. We also have something else that is NEW to share with you!!! We have a NEWSLETTER now available for purchase. Stop by the shop and read more about it HERE. blog to check out what she has prepared for you. OH MY!!! Look at this sweetie!!! I love the colors and papers you chose. Those embellishments are gorgeous! So many fun layers and wonderful eye catching pretties! LOVE the cupcake paper framing the image! ADORABLE!!! Cherry Cup Cake is yummy! So sweet! oh my goodness, I adore her---so cute, and lovely job on the whole card! She's a sweetie! Love the pretty colors you used on your card! This card sooooo sweet (pun intended)! I love all of the fun embellishments on this gorgeous card. Whoever receives this will be one lucky girl! Cherry Cupcake is so adorable! Love her "hat" and her fun little dress. I can imagine how much fun she will be to play with! Adorable card...love the embellishments! Any little girl will love this card on her birthday! Ah Sheryl, this is absolutely amazing! I love the cupcake in the background! Perfect! And all your lovely bling and embellies, as usual you have created a gorgeous piece of art! Your card is so cute!! The colors are great and what a cute image!! LOVE that stamp, and your card is just adorable. Just celebrated my DGD's 7th birthday last weekend.....she would have been thrilled to get your cute card!!! Love the stamp, the cupcake on her head is precious. The card is very nice and colorful! Awe. This is very cute image. your card is adorable. I love all your details. Wonderful job. I love this card! The colors are just perfect, so bright, cheerful and fun. What a cutie of a card Sheryl!!! Love all your pink embellishments. I love the cherry cupcake girl! I could see her used on lots of birthday cards for all the kids! Love your card Sheryl. Great embellishments that you have used - work perfectly with the image. I'm so excited about the new stamps! And this one is one of my top faves, so far!! LOL! I've seen 2 new stamps and they're fighting for first place! Great job on the card, super cute! Beautiful card! Love the color combo... great project!